We are a seasoned digital media company with local and national impact, and three decades of technology, content and community-building experience. 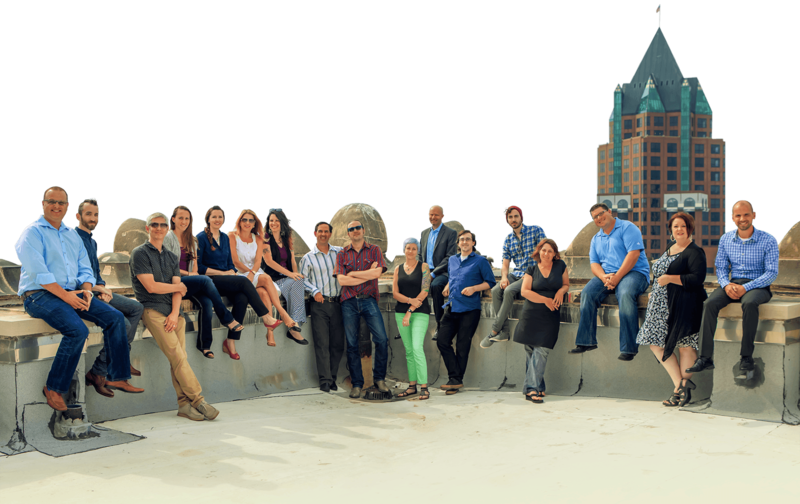 "Our hearts beat in Milwaukee, but our fingers are on the pulse of digital media innovation." OnMilwaukee is a digital media company that publishes Milwaukee’s only daily online magazine and several niche sites. Our team of 20 committed professionals is passionate and committed to delivering great story with cutting-edge presentation. Social media and usability is in our DNA. We launched our business before Google, Twitter and Facebook, but communicating with clients and readers has always made us unique. Media isn’t a sermon, it’s a conversation. We are a full service, strategic hub for clients who need customized digital advertising solutions. With a team of in-house designers, we don’t just code, we build tools to communicate. We power OnMilwaukee with our own technology, but we’re also software agnostic and work with systems our clients have in place. We’ve built dozens of Web sites, large and small. But we also extend our reach through mobile/app development, eCommerce, content solutions and events. And more. Working with OnMilwaukee was a great experience for us from concept to launch. We knew that they would create an exemplary, cutting edge website that would be one of the best in the AHL and the ease with which they made this process for us was simple and effective. They treated us not just like a client, which made what could have been a difficult transition very smooth.